High Ridge Partners can identify financial and operational factors that cause reduced earnings, negative cash flow and loss of enterprise value. Our Turnaround and Restructuring Services improve performance and liquidity, restructure and refinance debt and increase value for stakeholders. Our professionals also assist with restructuring equity and the sale and purchase of distressed business and non-core assets. High Ridge Partners assists lenders and creditors to evaluate the businesses of their debtors and assess risks and recoverability. Our professionals also assist creditors and creditor committees in bankruptcy cases by evaluating debtors' business and reorganization prospects. The road to a successful bankruptcy case is full of turns and twists and is littered with unforeseen problems. High Ridge Partners has successfully guided clients along that road. We provide “business savvy” bankruptcy and restructuring advice. 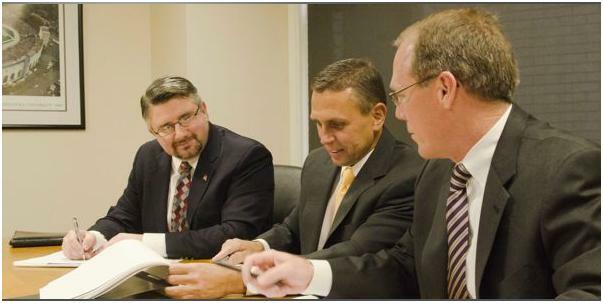 The principals of High Ridge Partners have a long history of serving in a fiduciary capacity and strictly honoring the trust which has been placed upon them by creditors and other beneficiaries. We have served as trustees and responsible parties in bankruptcy cases, receivers in both state and federal courts and assignee-trustees in common law and statutory assignments for the benefit of creditors. High Ridge Partners works with its clients and their attorneys to develop and support or defend claims in state, federal district and bankruptcy courts. Our findings and opinions based upon our forensic investigations, business analysis, valuation and accounting matters are often crucial in litigation. We are experienced in testifying as experts in depositions and the courtroom.